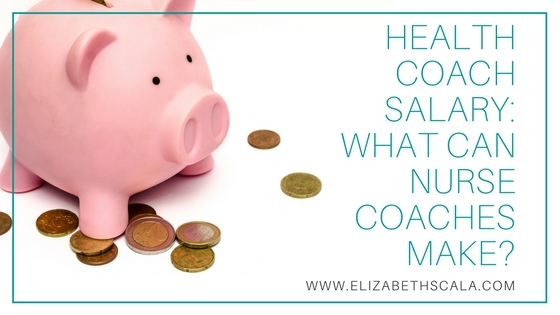 Health Coach Salary: What Can Nurse Coaches Make? Health Coach Salary: What Kind of Money Can a Nurse Make? The million dollar question: what is a health coach salary like? Let’s be honest. We all need to make money, right? 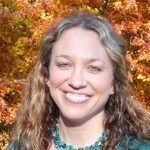 So, how much can a nurse health coach make? The more honest answer: it depends on how hard you work. And the truth of the truth… think about the profession of nursing itself. How hard is that? Are you emotionally exhausted from the compassion fatigue and burnout? Physically beat up from the demands of the job? A nurse is always on their feet, turning patients and lifting heavy things! How hard is it to be a nurse these days? Being in business is a whole other type of challenge. However, with the right support a health coach salary can mean a pay raise for the traditional nurse. But before you run to the bank- take a minute and re-read that sentence above. The words “with the right support” are key. Let’s just say that you, as a nurse, do decide to become a health coach. I would imagine that you are quite passionate. You care about helping people. You want to make a difference. And for goodness sake, you are going to impact the well-being of the people in your community… maybe even influence the health of the world. However, a health coach salary is not received from passion. Sorry to say it, but you are going to have to charge clients, make money, and turn a profit in order to call yourself a business owner. Now, before you go running for the hills, keep reading. Because let’s face it, you’ve dealt with the struggles of nursing for long enough. It is time for you to make a change. And when you stay focused on your vision- you can do anything. You know what else? You don’t have to go it alone! Sure, starting up a nurse coaching practice sounds like a lot of work. And it will take a bit of time. But the good news is that there is a way for you to get started without having to do a lot of the busy work that will distract you from your goals. Since this topic of health coach salary is super huge and I don’t want to butcher it in a long-winded post that does not provide you the accurate details, I am going to leave it here and encourage you to watch the video below. I’d like to introduce you to one of the best health coaches I know, Donni Alvarenga. In fact, this isn’t the first time you have met Donni as she was a guest on episode 75 of the Your Next Shift podcast. Donni is a a Nurse Practitioner who stared her professional career as an oncology nurse, working on a Gyn-Oncology unit. Rather than me telling you more about the health coach salary options, why not hear it from Donni herself? Get Started as a Nurse Health Coach Today! What’s awesome about Donni is her love of helping other people, specifically nurses. Donni not only coaches clients to a healthier lifestyle- she supports nurses by teaching them how to set up a health coaching practice. If you’ve been thinking about the next shift in your nursing career- here’s your chance to make it happen! Take the first step and explore health coaching with Donni. Tell her I sent you and enjoy this next chapter in your nursing career.